At minimum, it is an opportunity to make a statement that this fallacy needs to be reviewed and changed by President Obama or Secretary of State Kerry, the only two officials with the authority to remove Cuba from that list. This topic has been discussed numerous times on this blog in our archives. That designation has long reaching consequences on average Cuban Americans and Americans who seek normal contacts and costs in communicating with Cuba. As long as Cuba remains on the Terror List, it triggers another law, the Terrorism Risk Insurance Act (TRIA). The fact that Cuba has that designation is the major reason why it costs approximately one dollar per minute to call Cuba, and even more from Cuba to the United States. It also spurs the cottage industry of obtaining multi-million dollar default judgments against Cuba. Any nation on the list loses its sovereign immunity in U.S. courts. It is important to understand that in the world of lobbying, an online petition is the LEAST effective way to send a message to our elected officials. It does provide a list of individuals who think alike to the petition's organizers and that can be helpful to a more coordinated effort in the future. Most officials do not even read these petitions. Staff usually tallies a number and includes it in briefs to the official. 1) You must be a registered voter of that state or congressional district to sign the petition. It must verifiable by the political candidate/officeholder. 2) You agree to make a voluntary contribution to a political action committee of say $5-$25. Those funds would be used to either support the candidate or his/her primary or general election opponent, depending on the candidate's position on U.S. Cuba relations. 3) If it is a statewide petition, the goal must be to get 100,000 registered voters to sign the petition. If it is a congressional district wide petition, the goal should be 10,000 voters. Politicians will not ignore a voting bloc of 100,000 in a U.S. Senate race or a bloc of 10,000 voters in a House race who publicly declare their support or opposition and back it up also with a contribution. 4) Separately, those individuals who are not registered voters in those states/districts can always make a campaign contribution to a political action committee. A few bucks can go a long way. Remember the average contributor to President Obama's election campaigns averaged less than a $100.00 per donor. So it is possible to make a difference contributing the cost of a night out to the movies for two to a political cause that matters to you. For example, those involved with the gun control debate are not signing petitions. They are organizing themselves into voting blocs and raising money to support candidates on both sides of the Second Amendment issue. The same tactics and strategies apply to the U.S. Cuba issue. Understand that there is a difference between those who support changing U.S. Cuba policy and those who are committed to actually making it happen. Many ask why things still haven't changed yet. Ironically, there is a lot of support to change U.S. Cuba policy but not enough commitment yet. To make such a petition work, it will require dedicated and committed individuals to focus on a state like Florida or New Jersey and certain congressional districts in those states, where the pro-embargo/anti-travel Congressional cabal can be challenged and its firewall broken in November, 2014. 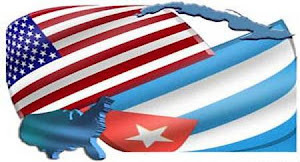 Are there enough committed individuals, Cuban American citizens who will put up their votes and money to effectuate change in our failed policies with Cuba? We will see. The change begins with you. And me. Thanks for our great work !